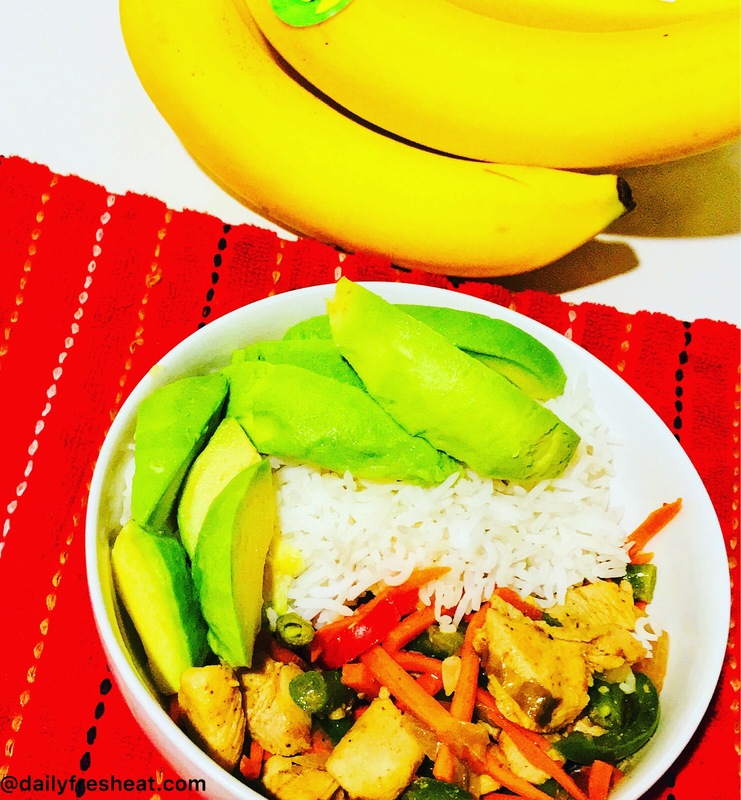 Chicken Salad sauce is alternative to stew or to any other type of sauce. It is healthy and highly nutritional. It is the combination of varieties of vegetables such as carrot, bell peppers, green beans and so on. 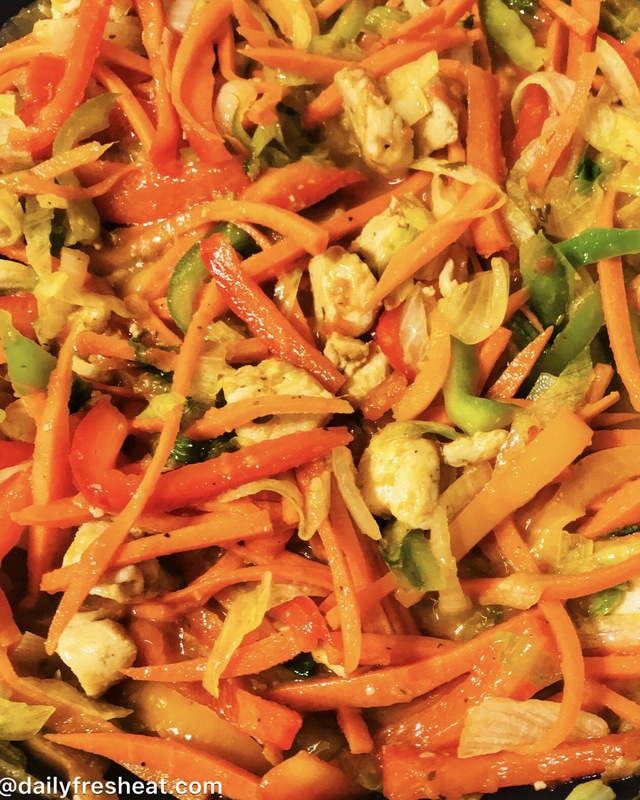 You can either add other ingredients (vegetables) of your choice or take off any of those. 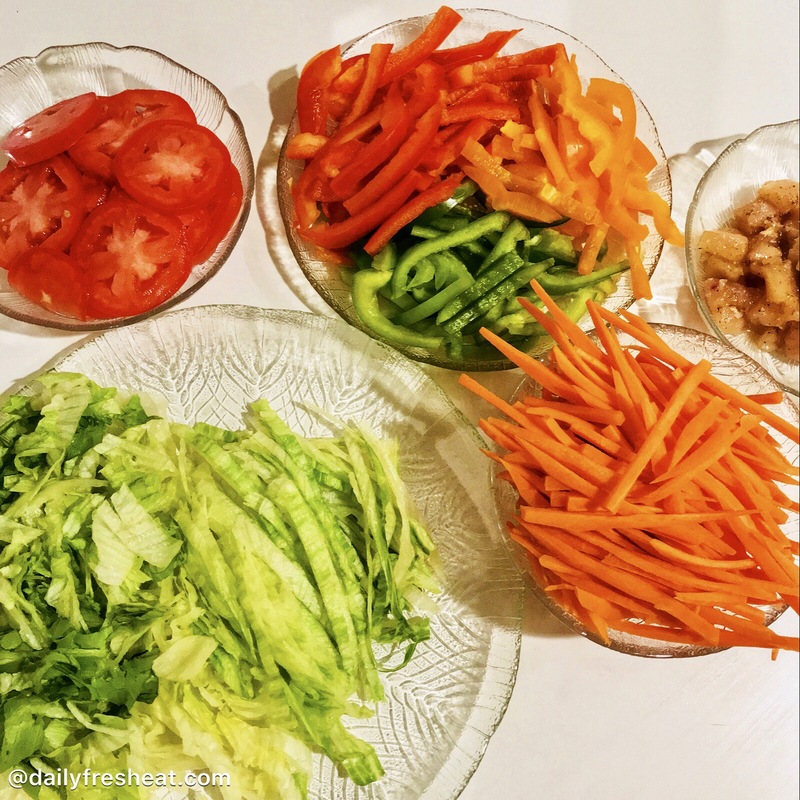 It is quick and simple, all you have to do is to slice all the vegetables and get started. We all know how vegetables are beneficial to our body. Vegetables are naturally low in fat and calories, they have no cholesterol. Vegetables are potassium-rich nutrients. 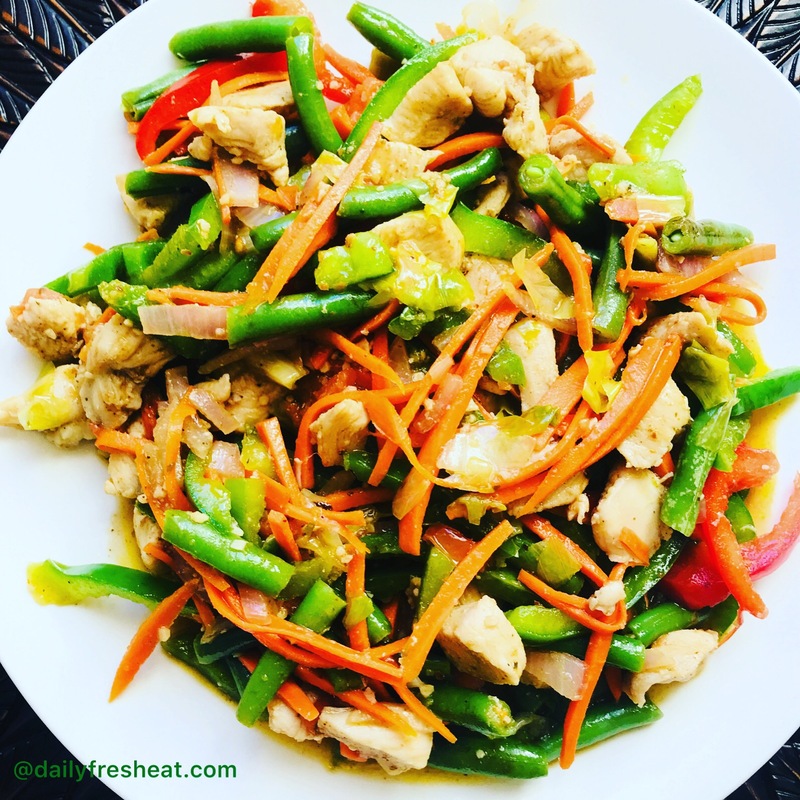 Vegetables are important sources of many nutrients, including potassium, dietary fiber, folate (folic acid), vitamin A, vitamin E, and vitamin C.
➢ Wash and cut the chicken breast into cubes. Marinate with salt, ground pepper, seasoning powder and stock cube. Then set aside. 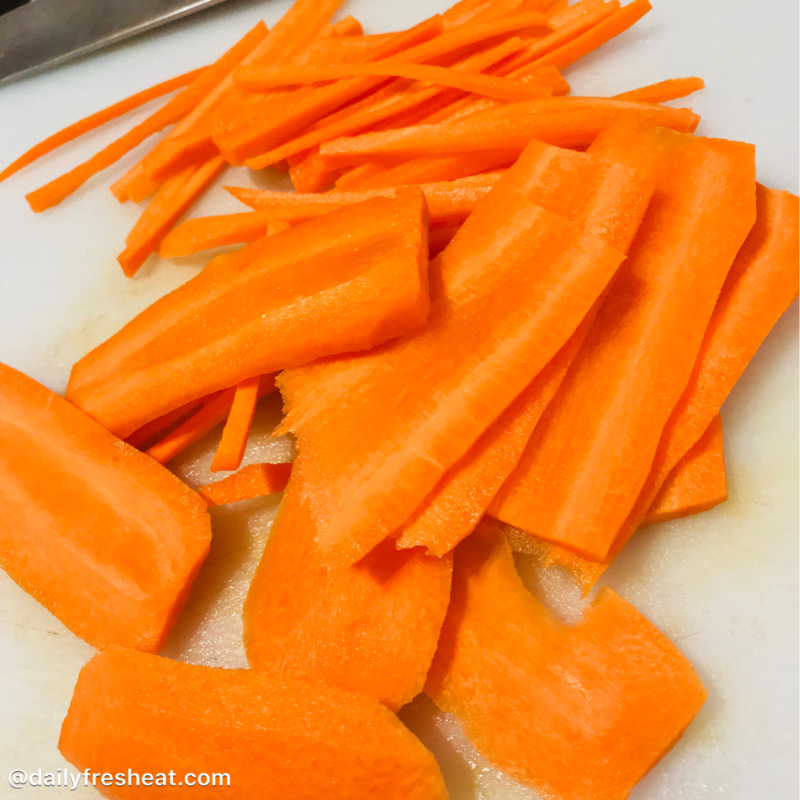 ➢ Wash and peel each carrot. Cut into strips and set aside. 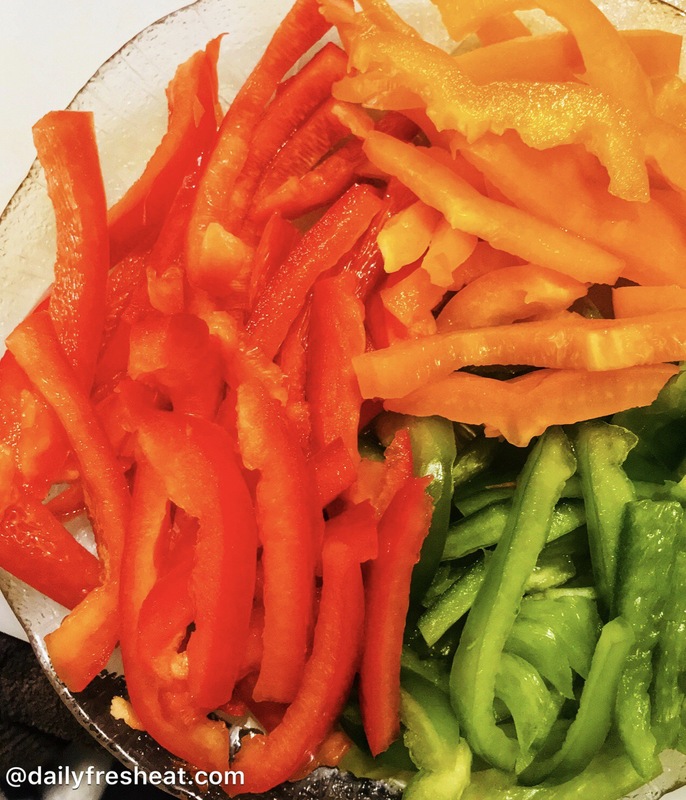 ➢ Remove the stem and seeds of bell peppers and cut in about 2inches length. ➢ Wash and chop the onions. ➢ Wash and cut green peppers as shown below. 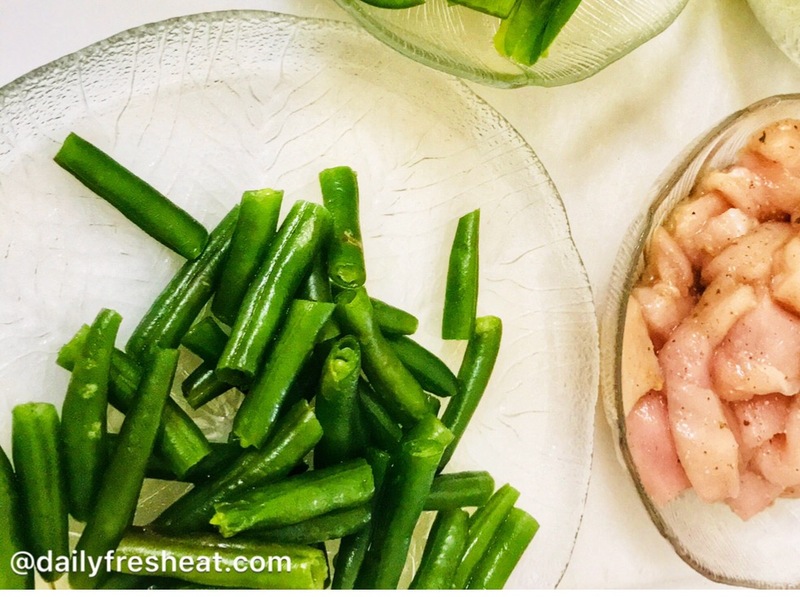 ➢ Peel and blend the ginger, garlic and habanero pepper into a puree, then set aside. ➢ Then add the onions and stir, after few seconds add the fresh tomatoes. 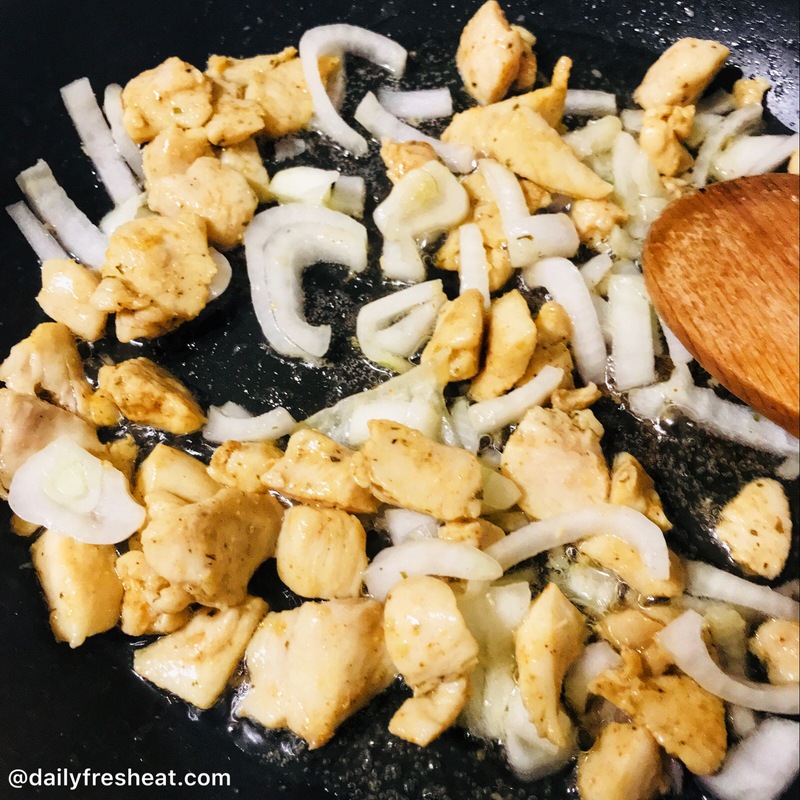 ➢ Season with seasoning cubes, salt, and seasoning powder and start adding all the vegetables and stir to mix properly. Then allow simmering for a minute. ➢ It’s ready. Serve with any staple of your choice. Yum!!! Love the colorful veggies! So many colors, and so many flavors, looks so tasty!